Professor Dan Reinstein has been using very high-frequency ultrasound with digital signal processing for research in refractive surgery for over 15 years and has published extensively in the fields of corneal and anterior segment biometry, the prevention of ectasia by mathematical modelling, sizing of phakic intraocular lenses and the early detection of keratoconus. Professor Reinstein graduated in medicine from Cambridge University Medical School, England, did his ophthalmology residency training at the Mount Sinai School of Medicine, NY, and fellowships in ultrasound bioengineering at the Weill Medical College of Cornell University, and cornea and refractive surgery at the University of British Columbia, Vancouver. He was made full professor of ophthalmology at the University of Paris in 1999. Professor Reinstein relocated to London in 2001, in order to work closely with engineers at Carl Zeiss Meditec, who recruited him as the lead clinical consultant for their new excimer laser, the MEL80. 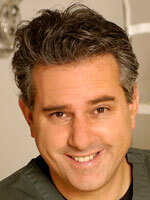 In 2002, he established the London Vision Clinic, where he continues as medical director. Professor Reinstein has developed advanced excimer applications including biomechanically based ablation profiles using non-linear aspherics for treating very high myopia with very low induction of aberrations, and very low tissue consumption, and has further developed these to enable presbyopic LASIK based on increasing the depth of field of the cornea. Both these applications have been adopted by Carl Zeiss Meditec for product releases. Concurrently with his medical career Professor Reinstein has continued his passion for jazz and the saxophone for over 35 years including two years of study on a performance scholarship at the Berkley College of Music, Boston, USA; he continues to play at one of London’s top Jazz venues The 606 Club in Chelsea on a regular basis with his own quartet. Professor Reinstein lives in central London with his Austrian wife Ursula, herself a veterinary surgeon, and their three young children, Julia, Maxwell and Oscar. Presbyopia or ageing-eyes is a change that affects all human beings. Sometime during the 40’s we lose the ability to zoom our focus from distance to near. Initially we start holding things further away to read, until our arms are no longer long enough. We describe novel approach to correcting presbyopia using the most advanced excimer laser technology (Carl Zeiss Meditec MEL80) in a ten minute pain-free procedure that recovers in most patients within a few hours. The MEL80 is commonly used for correction of myopia, hyperopia and astigmatism which it does by reshaping the corneal surface to change the focusing power of the eye from a point to infinity. Using the MEL80, presbyopia is treated by a procedure called Laser Blended Vision. In Laser Blended Vision the optics of the eye are altered so that rather than just focusing on a point, the depth-of-focus of the eye is expanded akin to looking at a photograph with both the foreground and the background in focus. In our studies carried out at the London Vision Clinic, 365 patients with either pure presbyopia (perfect distance vision) or presbyopia combined with myopia up to -8.50 D, hyperopia up to +5.75 D with astigmatism up to 3.00 D were treated. Mean follow-up was 12.4 months. Of all patients, 96% were able to achieve 20/20 distance vision and 98% could see 20/25. Ninety-nine percent of patients could read newsprint or better without glasses. Binocularly, 96% of patients could read newsprint or better while enjoying 20/20 distance vision simultaneously. No eye lost 2 or more lines of corrected distance visual acuity (CDVA), while 37% gained lines of CDVA. Laser Blended Vision offers a highly effective and safe treatment for the management of presbyopia.